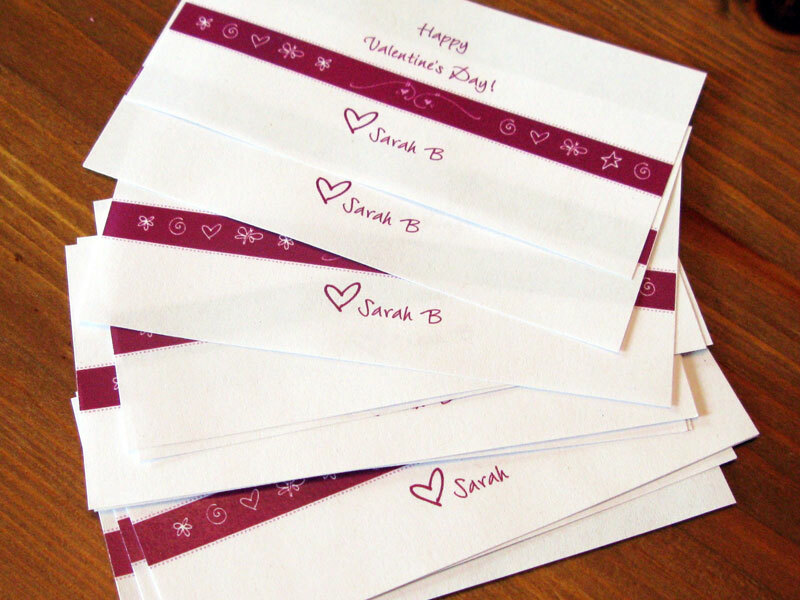 My four year old and I just finished this easy and fun kids valentine craft for her classmates and teachers and we had so much fun! I am glad I kept things simple so she could help with most of it and they are actually from her and not me! I never was a big Valentine’s Day person but now that kids are in the picture, it’s just so much fun. 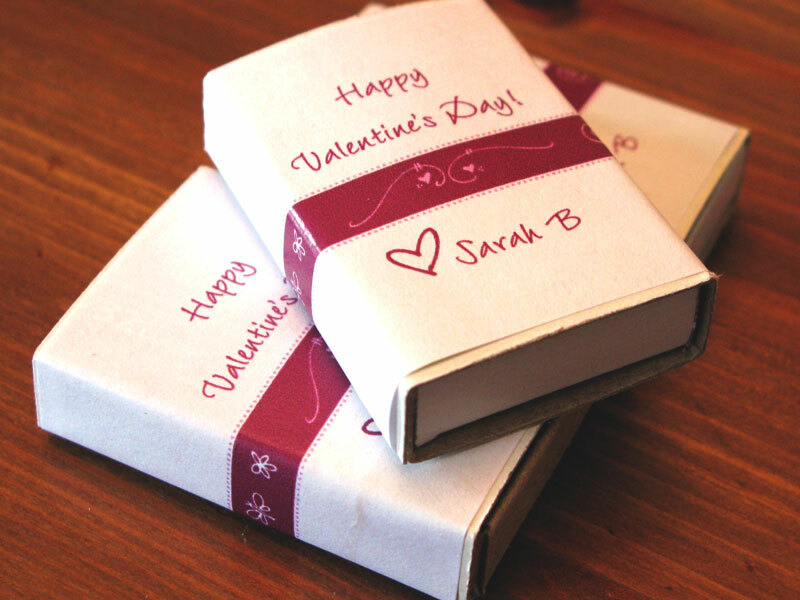 Any excuse for treats and festivities makes them so happy and it’s hard to resist all the cute craft ideas out there, especially when I can make my own personalized favor labels. I actually found this idea on Pinterest. I am not sure of the original source but I will track it down so I can give the correct person proper credit. 1. We started with tiny matchbooks and I was so happy the ones I found were made in the USA sourced from responsible forests! 2. Then I made the labels. This was the one thing that I did on my own and then DD colored some of them in and glued most of them on the boxes. 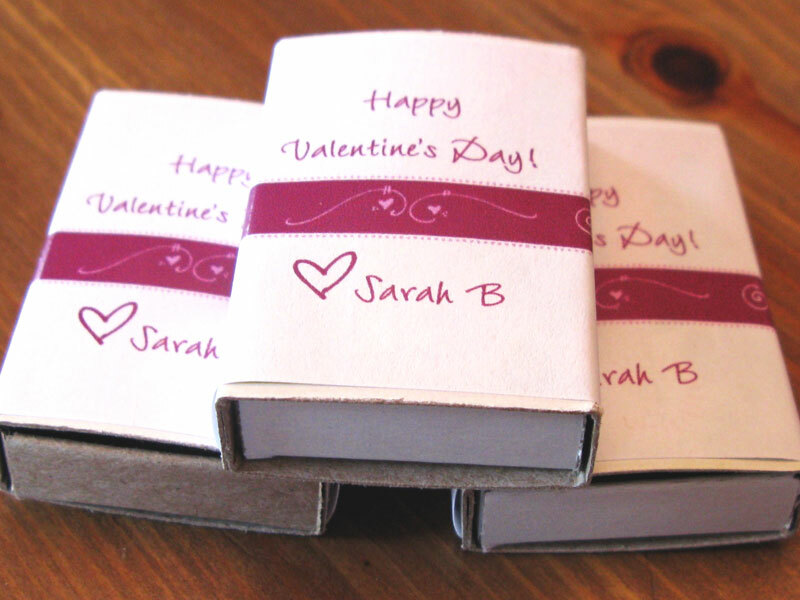 The labels measure 4″W x 2″H and the center part of the label for the greeting is about 2 1/4″. 3. 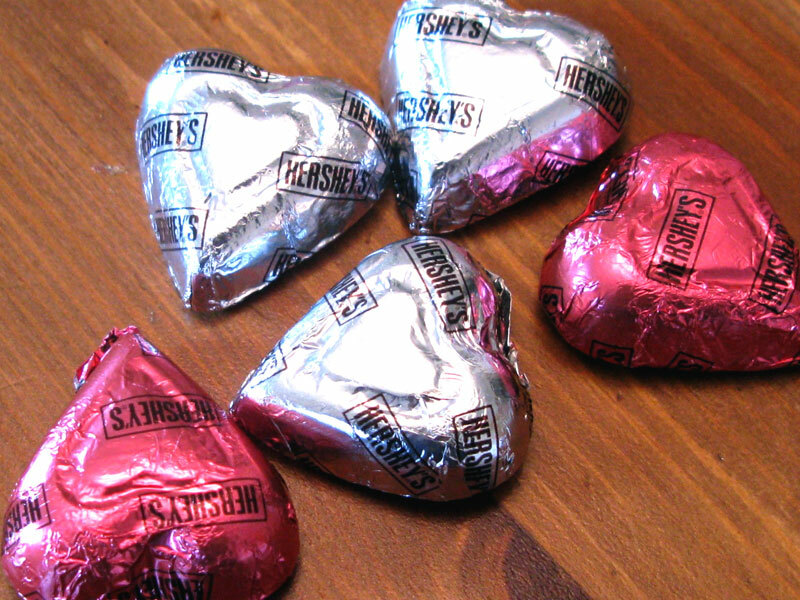 Normally I steer clear of Hershey’s chocolate due to child labor issues but of course DD just loved those pink and silver hearts and I have recently learned that Hershey’s is improving their practices and they are investing $10 million in West Africa, to encourage economic initiatives and to reduce child labor and improve cocoa supply. 4. Next we emptied the boxes of the matches to save for later and used the glue stick to attach the personalized labels to the boxes. We used the big hearts but m&ms work well, too, or any other small valentine candy. Here is all the loot we made for classmates and teachers! 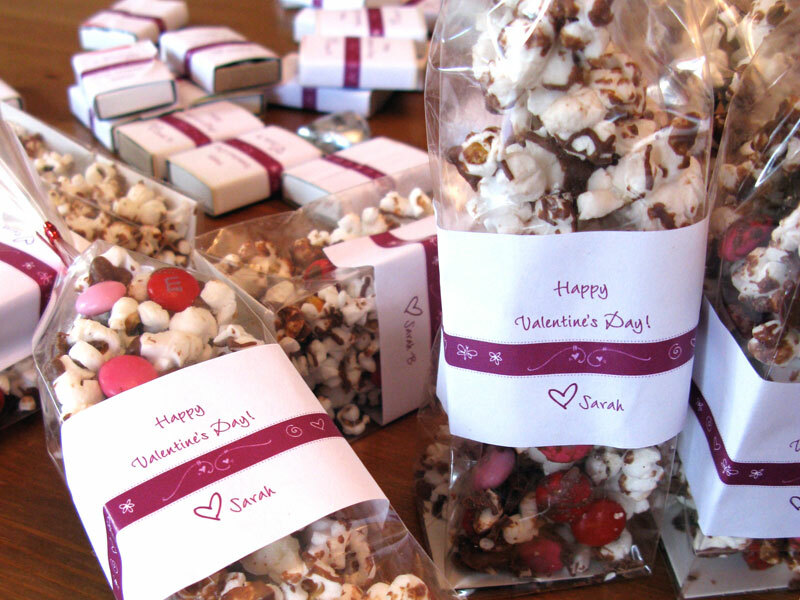 The teachers are getting the bags of m&m popcorn with the personalized labels printed on recycled paper with wax ink. 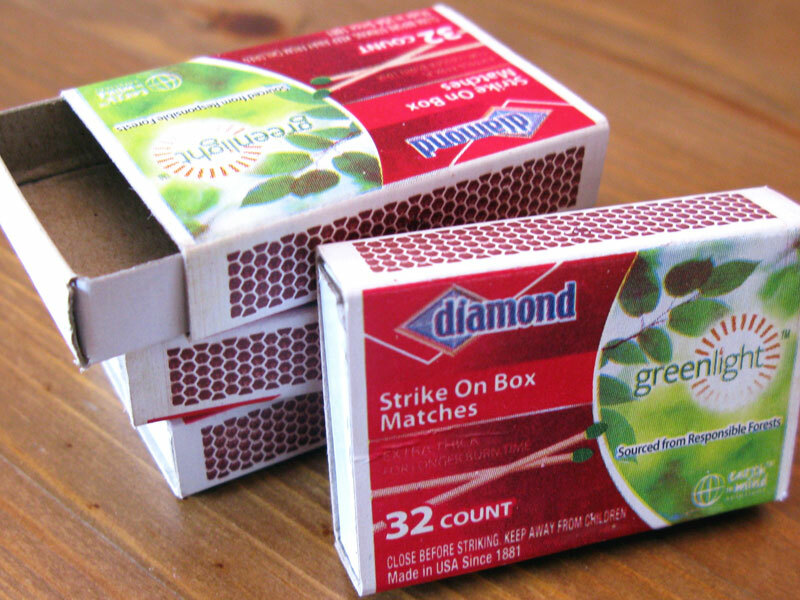 What a fun idea and a great use for match boxes. Thanks for sharing on the Spring Craft Blog Hop. Pinned and Tweeted.